For starters, fine china is something you will use during your most treasured events in married life. While hosting holidays at your home or while having a dinner party with family friends. It is just a good gift. 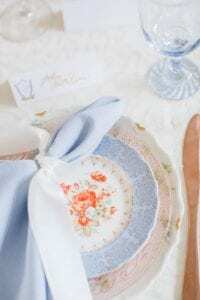 Fine china is a great way to give guests them the options and choices. They can buy a whole set or just a plate. Additionally, with so many different types of china on the market today, you are sure to find something that will fit your guests’ price range. 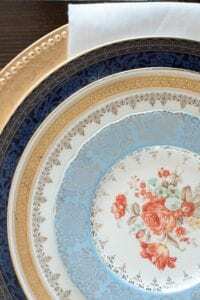 Does your family has a great set of china that has been passed down throughout the generations? If this sounds like you, then skip the registry. Don’t feel like you have to register for fine china just because it’s tradition. Maybe your just not that fancy? Does hosting a dinner party sound like torture? Then you probably don’t need fine china. You have a very small apartment with no plans to move anytime soon. China is great to look at, but it is also space consuming. If you live in a small apartment with no room for a china cabinet, it might be best to forgo fine china on your wedding registry. You could always buy it later on yourselves after you get into a bigger home. So when it comes to the Fine China Debate, I say do what makes you happy. As long as you as a couple are registering for items you love and will use, there is no magic answer! Want more great tips and advice on everything weddings? Contact Magnificent Moments Weddings today! We would love to help plan your big day!